It struck me this week that, these days, Forza is just as much something you can watch as it is something you can play. In addition to our regularly scheduled community streams that we produce from our Turn 10 streaming studio, increasingly we’re making more content for fans who want to stay involved with Forza even if they aren’t turning hot-laps or exploring the Outback on their Xbox. This week has been a great example of that – on Tuesday we featured our second “Seasons Change Everything” livestream production from Playground Games, showing off the Autumn in Forza Horizon 4. A day later, we followed that with our Wednesday Showdown broadcasts featuring the best of EMEA and North America battling it out in the Forza Racing Championship, and we managed to sandwich in an episode of Johniwanna’s “Wheel & Pedal Wednesday” on the same day. Today we debuted a new show featuring John and Verena Mei (GT: StarGirlRacing) featuring the two facing off in the Forza Horizon 3 equivalent of “HORSE” and, later today, I’ll be hosting #ForzaFriday, playing Forza Motorsport 7 with all of you (and, yes, celebrating the return of the Random Ring Race!) So, yeah, whether you want to watch Forza or play Forza, it’s all good. Here in today’s Week in Review, we’re going to recap Forza, so let’s get to it! Summer is great for driving, winter will be wonderful for those who want to slide, and spring promises to be incredible but, for my money, nothing beats Autumn in Forza Horizon 4. I love the colors, I love the environments, and, yes, I love the MUD! In this week’s “Seasons Change Everything” Forza Horizon 4 livestream from Playground Games in the UK, we got to see FH4 in all its autumnal glory. Better yet, we got to hear from the team directly, who showed off a ton of new content and tidbits on the game, including a first look at the FH4 map itself! There were so many great details to soak in during the hour-long stream, including a look at the Jeep Grand Cherokee Trackhawk (complete with its own rough-and-ready off-road body kit; one of 12 off-road kits coming to the game). We also got a look at the Scottish Highlands for the first time. Situated in the northern area of the map, the Highlands feature tremendous elevation changes and, as you might expect, lots of awesome nooks and crannies to explore, including at least one Barn Find location. As pointed out during the show, and as the name implies, the Highlands are a prime example of the “verticality” of the world of Forza Horizon 4. Drifters, prepare yourselves for mountain roads, and switchbacks galore. During the flythrough of the Forza Horizon 4 map, viewers got to some great detail about locations and names, as well as some of the cool events coming to the game. Yes, there will be a Goliath race, but massive routes are going to be more plentiful than ever (Titan and Gauntlet races, anyone?). Showcase races are going to be part of the fun – we saw a glimpse of a new race called The Behemoth where you raced a hovercraft down a Scottish mountain. Let me repeat that: YOU RACE. AGAINST A HOVERCRAFT. DOWN. A MOUNTAIN. Weekly photo contest winner by Lego33. 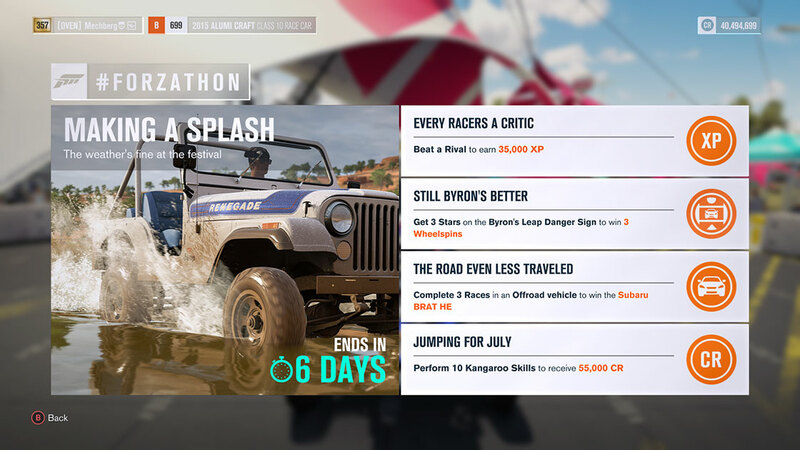 Also during the show we got a look at the #Forzathon Live feature – where new group events will pop up globally every hour and you (or your group of friends) will have a limited time to accomplish multiple tasks. The livestream demo featured a Speed Zone, a Speed Trap, and a Skills Zone challenge, with each player contributing their score to the overall tally. It looked fun and collaborative in ways only Forza Horizon can offer and I can’t wait to see more. There was much more on offer during the show too, including a first look at the deformable mud that will be a huge part of driving during the wet seasons, cross-country races (one of my favorite types of events in Horizon games), and more. We’ll be back with another stream next week and, yes, Winter is Coming. Look for the winter stream airing on Tuesday, beginning at 11 a.m. Pacific on our Forza and Mixer channels. Don’t miss it! Series 2 of the 2018 Forza Racing Championship season has begun and this week we had our first Wednesday Showdown broadcasts of the new series. Racers from Europe (EMEA) were up first and, despite a relatively tame first race in the 1970 Dodge Challenger R/T, the action heated up considerably in Race 2 and 3. TPR ChemicaL started the day in the top spot, having claimed a clean sweep in the weekend races. Despite some bad luck, including missing a braking point on Turn 1 at Catalunya in Race 2, he still managed enough points to earn third place on the podium for the day. Noble b0x and JSR Commando tied on points – with b0x ekeing out the win based on total time -- to claim the top spots, giving both drivers momentum to kick off Series 2. 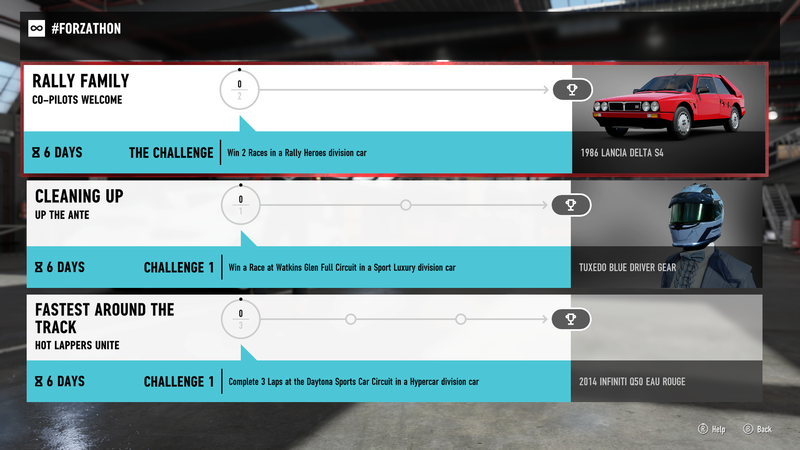 The Booster Rivals event is now open in Forza Motorsport 7 for those looking to eke out a few more points; and a new round of qualifying starts next week. 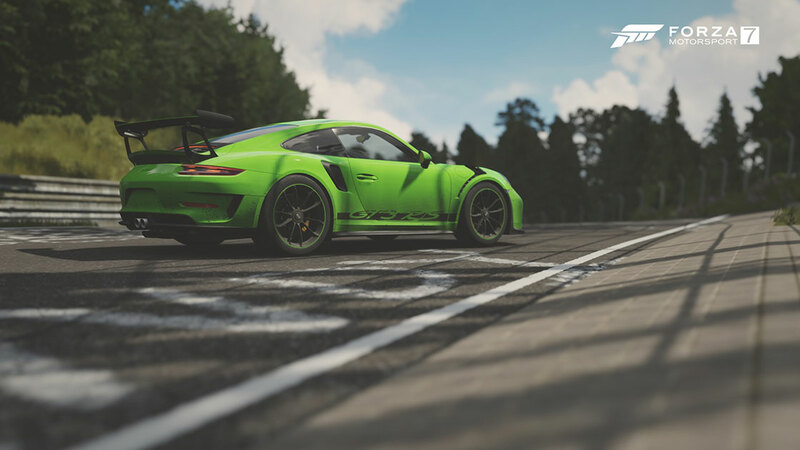 If you’re curious about the remaining car and track combinations for Series 2, check out the handbook over at the ForzaRC site, where that information was just released this morning. After a week off, we’re back with another episode of #ForzaFriday today on Twitch and Mixer where we’ll be celebrating the return of the Random Ring Race. With cars no longer available in prize crates, we’ll be going old school when choosing our random car (aka, Yours Truly closing my eyes and picking a car at random). The fun starts at 3 p.m. Pacific. See you there!